During Dr. Mark Murphy's residency days at the University of north Carolina in Chapel Hill, he treated a sitcom star, a televangelist, a politician, and even a serial killer. Using their stories as inspiration, he poured himself into his first novel, to critical acclaim. In The Shadow Man Murphy draws on his own life experiences to shape main character Malcolm King: a regular guy with a loving daughter and a thriving career as a doctor. The result is an utterly believable, likeable family. But unlike Murphy's real life, Malcolm and his family undergo severe psychological duress when Malcolm becomes the target of a serial killer framing him for a rash of murders. Yet Malcolm almost plays second fiddle in comparison to Murphy's other main character: a living, breathing setting of Savannah, Georgia. In fact, a well-known landmark serves as the novel's cover: an atomospheric, black and white shot of the Forsyth Park fountain at night. Murphy's creative writing career began in 2004 with the publication of the short story "The Funeral" in a collection of works entitled "O! Georgia!" Shortly after, he attended the Iowa Summer Writing Festival, where his creative spark and passion for short stories was re-ignited. Two years ago, the Savannah Morning News brought him on as a regular family columnist, where he shares reflective thoughts and gentle observations on life and family each week. Murphy's distinguished medical career started at the University of Georgia, where he earned a B.S. in Zoology before going on to the Medical College of Georgia to receive his M. D. with honors. 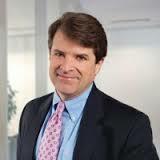 He has since founded a medical practice and served on the boards of several prominent medical associations, including the Georgia Medical Association. In addition to a burgeoning writing career, he continues to practice medicine as a gastroenterologist and serves on the board for the Savannah Book Festival, where he lives with his family. The Shadow Man kept me turning pages late into the evening! It started out with a grisly murder and ended with heart-stopping drama. 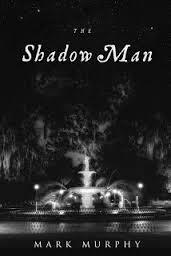 Throughout the story I was constantly trying to figure out what was up with The Shadow Man. Why was he bent on ruining Malcolm and his family? It was a quite twisted and entertaining story. While I liked the character of Billy, I wasn't a fan of the way the author tried to weave in some Indian legend supernatural stuff through Billy and some birds, but I'll let you read it and be the judge rather than give away anything else. For the most part The Shadow Man kept me on the edge of my seat, the author very adeptly portrayed the evilness that was The Shadow Man. For the most part I review Christian novels on my blog. This is in NO WAY a Christian novel. There is violence, there is cursing(including the f-word), and evil is portrayed very prominently. The characters were portrayed true-to-life, Malcolm and his family were not dysfunctional, and evil does not have victory, and that is how I was able to read this book...besides the fact I love a good scare-the-pants-off-of-you read!